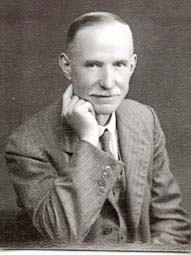 Percy Buffard founded the Spanish Evangelical Mission in 1917. The square of Moral de Calatrava where the current evangelical church is, will bear his name. The square is named after the British missionary Percy Buffard. 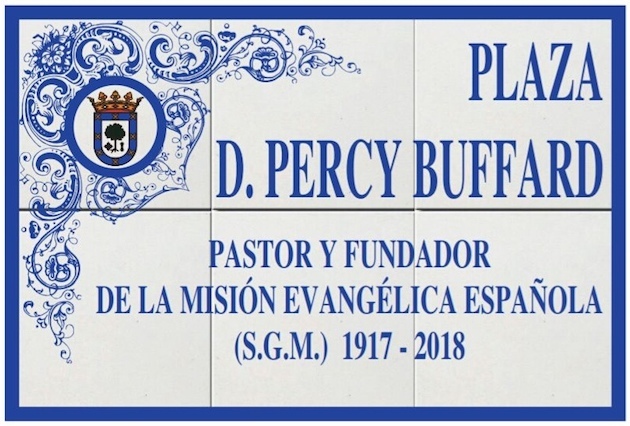 On Saturday May 26, at 11 o'clock in the morning, the Spanish town of Moral de Calatrava recognised the work of one of the great evangelical missionaries of the early twentieth century: Percy Buffard, founder of the Spanish Evangelical Mission (MEE in Spanish). The work, which officially began in 1917 in the city of Valdepeñas (province of Ciudad Real), reached many places, especially the South of Spain. That is why the mission was also known as the Mission of Valdepeñas. In the mid 70s of the last century, Isabel Merlo and José González (the pastor of the church in Valdepeñas) planted an evangelical church in Moral de Calatrava, one of towns close to Valdepeñas. The local authorities decided that, the square of Moral de Calatrava where the current evangelical Church is, should bear the name of the British missionary. This act is part of the progressive recognition of the Spanish Protestant historical memory, an acknolwedgement of the deep roots of the evangelical Christian faith in the country. It recognises the complicated task of preaching the gospel in those times, when religious freedom was not adequately guaranteed in Spain. 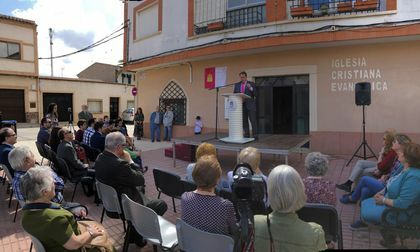 The event was attended by the Mayor of Moral de Calatrava and one of the Councilmen, along with representatives of the main Spanish evangelical entities. The Mayor unveiled a commemorative plaque. 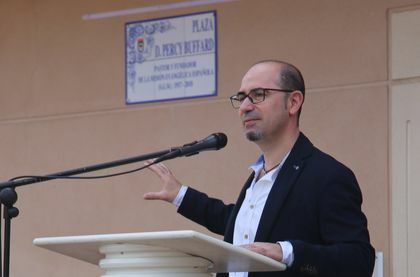 The pastor of today's evangelical church in Moral de Calatrava, José Luis Alfonso, closed the event. Earlier this year, the city of Terrassa (in the region of Catalonia) held a similar recognition for Eliseo Vila, another key Protestant figure in the country.